Two weeks ago, I wrote about the church we attend in Ottawa – St. Andrew’s, the closest to Parliament Hill – The church had held a weekday noon hour service for public servants whose jobs were in question because of possible cutbacks. 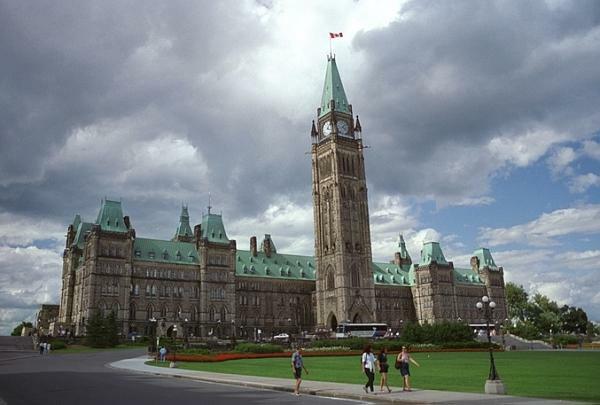 I received a response from Diane Scharf, long active as a Hill support staffer and encourager of younger staffers who are trying to live out the faith/political interface in Ottawa. By way of introduction, Scharf was one of the first Christian support staffers I met when we moved to Ottawa 14 years ago. She wrote a piece at the time for Christian News Ottawa that outlined some of the challenges faced by Hill staffers. I should note that Scharf has worked with both Liberals and Conservative politicos over the years. Earlier in her career, in fact, she held a key position in the Trudeau prime minister’s office. She could bear witness to the fact that good Christian support staffers exist – and sometimes thrive – in offices occupied by politicians of various stripes. When I first met Scharf, she was working with Dennis Mills, a serious Catholic and Liberal who held a Toronto seat. In that capacity, she assisted him in arranging government relations with the Vatican during Pope John Paul II’s visit to Toronto for World Youth Day in 2002. In more recent years, her experience was in demand from Conservatives after they took power in 2006. She has worked with Conservative MPs Russ Hiebert and David Sweet, cabinet minister Rona Ambrose and, more recently, Senator Mike Duffy, a former long time Hill journalist. All of which leads up to the comment she provided me with respect to St. Andrew’s Church. You see, the church has an additional role, not directly but as a host to a weekly prayer meeting that Scharf has helped organize for years. Years ago, I attended one of those prayer meetings. It was a positive, happy event, although a little enthusiastic for my comfort zone, as a quiet, shy, introverted journalist. And over the years with that prayer group, I have seen people healed (myself included), marriages restored, depressions lifted and all sorts of miraculous provisions from our Heavenly Father. It is a wonderful group. I also promised, in that piece about St. Andrew’s, to explain why I did not attend the service put together by the church. As it happens, a little group was meeting a few blocks away, in another long established Christian facility, to talk about a concept called My Place/Chez Moi, which could become a reality in Ottawa by 2017, the 150th anniversary of Confederation. I won’t say more about it for now, except to suggest that readers wanting to know more about the idea can go to www.myplacechezmoi.ca.